mongolian yurt 16 X 16. the new american dream home. That’s a great picture. 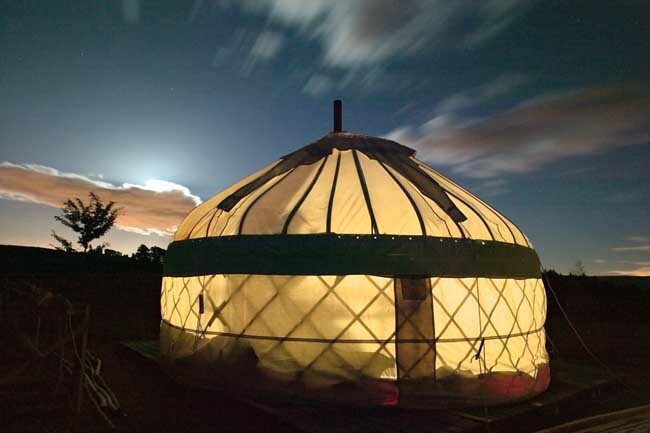 I think yurts are beautiful. We are seriously considering setting one up as a preliminary dwelling while we build our main (small) homestead house, and then have it as a guest house/artist studio or something. We just learned there is an outfit up in Troy that sells them, so when everything thaws out this spring we are planning to head up there and check them out.